As I have stated many, many times before...my daughter LOVES to read. Well, her idea of reading and MY idea of reading are two separate things. But, nonetheless...she is a book worm! At 2 3/4 years old, she loves to go to the library and pick out books. She also has her very own book shelf that is dedicated strictly to her books. Her little brother is learning about books now too and it is so fun to watch him point at pictures and grunt his little approvals. He is so cute. :) So, when it is time to read books, Hannah brings her stack of books and we slowly read them ALL. Hopefully, not in one setting as we would probably be on the couch for the next 2 years. Ha ha. :) In our home, we have a special love for personalized things...especially books! So, it is no wonder Hannah loves to read, she loves to hear her name incorporated into books!! Today, I am going to tell you all about a book company that specializes in personalized children's books! I See Me is a company that creates books to fit your child's personality, special occasions and name. We opened for business in May of 2000, after a year of active product development. My husband Allan and I received a personalized book as a gift for our first son in 1998. While we loved the fact that it was personalized, we thought that the illustrations could have been much better and the story more customized to the child. Thus I See Me! was born. Allan, who is a graphic designer, and I developed the first book My Very Own Name as a team. Our goal was to produce an educational book that would teach young children how to recognize letters and spell their names. After I developed the concept and wrote the book, we brainstormed together to develop the characters in the book. 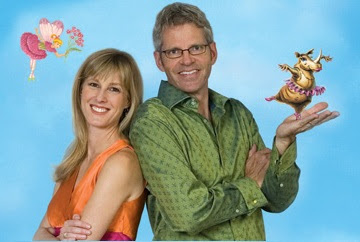 Allan found and hired the illustrator, and designed the book, while I wrote the business plan.We are pleased to say our books have become popular among celebrities including Courteney Cox, Brooke Shields and Jessica Alba.Our mission is to increase self esteem in children through personalized books that celebrate the uniqueness of each child. The goal of our books is to show each child how absolutely unique and special he or she is, to teach the child how to spell his or her name, and to build vocabulary skills. For this review I was sent the "Who Loves Me?" Personalized Book and I had it personalized for my Hannah. When this book came in the mail and Hannah saw it, she was ecstatic! I had to put it away until I could get some photos of it but once I did what I needed to do, Hannah HAD to read it! She poured over each page and especially LOVED the pages with the moon on them (we love the moon). The only thing that really confused me was the dedication in the front of the book. It read: "This book was created especially for Hannah Grace Mommy who arrived on August 20, 2008." And it went on to say with love from Mommy and Daddy. When I ordered the book, I left out her last name as it was optional so where the Hannah Grace Mommy part came in, I don't know. Not sure if it was my error, or the printers. I notified the company of the error and the wonderful news is that I See Me has a 100% guarantee! They were super professional in handling this error and a new book is being sent to me at no cost. So I would have to say that their customer service is amazing. I am very pleased with the way this was handled. I loved all the beautiful illustrations in this book too! The colors are really pretty and the sayings really capture just how parents feel about their children. Sometimes I cannot think of the right words to say to my children and this book puts my thoughts into words so perfectly! I love it! So, in my opinion...I See Me is a wonderful company that really does a great job personalizing books for children. The pictures are colorful and the poetry is captivating. I love how my daughter was so intrigued and interested in her book and how she just loved looking at the pictures and studying every page. Great company and cute books!! Visit I See Me, then come back here and leave a comment letting me know what your favorite book is. :) You do not have to be a blogger to enter, but you must have a valid email where you can be reached should you win. If you do not leave an email address, it must be where I can easily find it. This giveaway is open to US residents and will end 8/12 at 11:59 pm EST. The winner will be chosen using random.org and will be notified by email. The winner will have 48 hours to respond, or another winner will be selected. 1. "Like" I See Me on Facebook. 2 entries, so 2 comments. Disclaimer: I received no monetary compensation for this post. I did receive a personalized book for review purposes. All quotes and stock photos are from the I See Me website and email. All thoughts and opinions are 100% mine. My favorite book is God Loves You! Thanks! Like I See Me on fb! Thanks! I am a GFC public follower! Thanks! I voted for you on Picket Fence! Thanks! I shared on Facebook! Thanks! I like the God Loves You! book. I love the Fairy tale book. My favorite book is My Very Own Name! 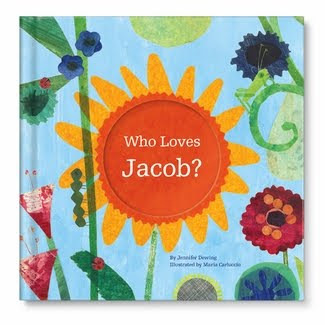 I would choose the God Loves me Personalized book for my little one. I've been slacking in taking her to church due to working every weekend. I need to get back into the swing of things!! But I think this would be a great book to read on days we cannot make it to church. I really lilke the world according to me, what a great way to have 2gether time. TY for a great giveaway. I like I See Me on FB as denise schroeder. I am a GFC follower of yours as denise s.
I like "my very own fairy tale storybook"
I like the God Loves XXXX book. I love the fairy tale book! My favorite is the My Very Own Pirate Tale Storybook! I like I see me on Facebook! I love the Super Incredible Big Sister book!! Love the god loves you book! Ps - my daughters name is hannah grace too!! I like "My very own name." I love the 'Who Loves Me' book! I would love to win this for my Son! i would choose the Super Incredible Big sister because I am pregnant with my 2nd child and this owuld be great for my daughter! Voted for you on Picket Fence Blog today! I like the Who Loves Me? book best! I like the My Very Own Fairy tale. i would get the who loves me book. the world according to me looks good.